The plot concerns the assassination in 1792 of King Gustav III of Sweden  who was killed as the result of a political conspiracy against him. He was shot while attending a masked ball and died of his wounds thirteen days later. Gustav III was King of Sweden from 1771 until his assassination in 1792. He was the eldest son of Adolf Frederick, King of Sweden and Queen Louise Ulrika, and a first cousin of Empress Catherine the Great of Russia by reason of their common descent from Christian August of Holstein-Gottorp, Prince of Eutin, and his wife Albertina Frederica of Baden-Durlach. It was to take over two years between the time of the commission from Naples and planned for a production there and its premiere performance at the Teatro Apollo in Rome on 17 February 1859. In order to become the Un ballo in maschera which we know today, Verdi's opera (and his libretto) was forced to undergo a significant series of transformations and title changes. Based on the Scribe libretto and begun as Gustavo III set in Stockholm, it became Una vendetta in domino set in Stettin, and finally Un ballo in maschera set in Boston during the colonial era. These changes were caused by a combination of censorship regulations in both Naples and Rome, as well as by the political situation in France in January 1858. It became one of the most frustrating experiences of Verdi's career. A commission by the Teatro San Carlo in Naples in early 1857 led Verdi to begin to oversee the finalization of the libretto (also by Somma) for Re Lear with the aim of presenting the finished opera during the 1858 carnival season. When this proved to be impracticable, Verdi turned to the subject of King Gustav III's assassination as portrayed in Scribe and Auber's opera, albeit not an historically accurate narrative. That subject was well known and had been used by other composers, including Saverio Mercadante for his Il reggente in 1843. Re Lear is an Italian operatic libretto in four acts written by Antonio Somma for the Italian opera composer Giuseppe Verdi. It was based on King Lear, "the Shakespeare play with which Verdi struggled for so many years, but without success". Anna Ulrica Arfvidsson (1734–1801) was a professional Swedish fortune-teller during the reign of Gustav III of Sweden. She was commonly known as Mamsell Arfvidsson. Somma's new libretto, known as Gustavo III, was presented to the censors in Naples by late 1857. By November, Verdi informed Somma that objections had been raised and revisions demanded by the censors, the most significant of which was the refusal to allow the depiction of a monarch on the stage - and especially the monarch's murder. As had happened with Rigoletto , changes in characters' names and titles were proposed (the King of Sweden became the Duke of Pomerania; Anckarström became Count Renato) and the location was moved from Stockholm to Stettin. Working together with Somma over Christmas, Verdi accommodated these changes. 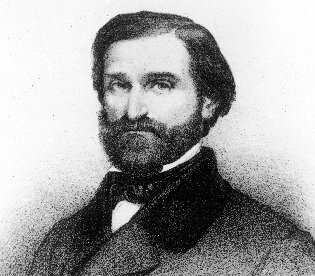 Somma was asked to change the names of the characters on the Gustave libretto while Verdi worked on completing sketches of the music. The name of the opera became Una vendetta in domino. 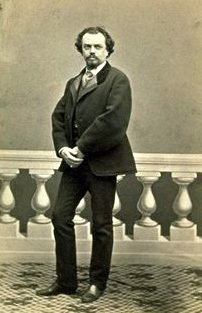 By 9 January 1858, prior to setting out for Naples, Verdi wrote from his home the San Carlo that "the opera is done and even here I am working on the full score". The composer then travelled to Naples and rehearsals of Una vendetta were about to begin when, on 14 January 1858, three Italians attempted to assassinate Emperor Napoleon III in Paris, an event which was to affect the opera's production. The imposition of still further, more stringent requirements by the censor  incurred Verdi's wrath. He broke his contract, returned to Sant'Agata in April, and was sued by the management of the San Carlo house. This provoked him to lodge a counter-claim against the theatre for damages and, eventually, the legal fight ended. When the legal issues were resolved within a few months, Verdi was free to present the libretto and musical outline of Gustave III (which was basically Una vendetta with characters' names and locations changed)  to the Rome Opera. There, the censors demanded further changes. Removing the action from Europe, the location became Boston during the British colonial period and the leading character became Riccardo, the Count (or Earl) of Warwick. At this point, the opera became Un ballo in maschera set in North America. Un ballo in maschera received its premiere performance at the Teatro Apollo in Rome on 17 February 1859 and was immediately successful. The opera was first seen in New York its US premiere on 11 February 1861 and in the UK on 15 June of that year. Scribe's libretto for Gustave III includes details that could be understood as signs of the king's homosexuality. Verdi and Somma eliminated many of these coded signals, but new codes take their place, particularly relating to the character of Oscar. David Richards has argued that although the opera was no longer explicitly based on Gustav III, Verdi deliberately deviated from his usual practice and set Oscar for a soprano - despite disliking women singing men's parts: "Verdi goes as far as one could go within the repressive conventions of his period to portray Gustavo (based on a widely known flamboyantly homosexual ruler) as either a gay man or, at a minimum, a bisexual man". Richards believes this therefore demonstrates that "Verdi’s art embraces all forms of sexualities". Ralph Hexter has examined the “masking” of homosexual aspects of the main character and how it relates to the idea of masking in the opera as a whole. Riccardo (Gustavo) reviews the list of guests who will attend an upcoming masked ball. He is elated to see the name of the woman he loves on the list – Amelia, the wife of his friend and advisor, Renato (Count Anckarström). (Aria: La rivedrà nell'estasi / "There I will be in ecstasy to see her again"). When Renato arrives, he tries to warn Riccardo about the growing conspiracy against him (aria: Alla vita che t'arride / "Your life, so full of joy and hope"), but Riccardo refuses to listen to his words. Next, Riccardo is presented with a complaint against a fortune-teller named Ulrica (Madame Arvidson), accused of witchcraft. A magistrate calls for her banishment, but Oscar the page defends her (Aria: Volta la terrea / "Turning her eyes from the earth"). Riccardo resolves to investigate for himself and tells the members of the court to disguise themselves and to meet him at Ulrica's lodging later that day. Ulrica summons her magical powers: Re dell'abisso, affrettati / "King of the abyss, make haste". Disguised as a fisherman, Riccardo arrives before the others. He makes the fortune of a sailor named Silvano come true by spiriting a document of promotion into his pouch, convincing the crowd of the truth of Ulrica's powers. When he realizes that Amelia is coming to see Ulrica, he hides and watches. Alone with Ulrica, Amelia confesses that she is tormented by her love for Riccardo, and asks for a means to bring peace to her heart. Ulrica tells her to gather a certain herb with magical powers; Riccardo resolves to be there when she does so. Amelia leaves. Now Riccardo presents himself again, along with all of the courtiers, and asks to have his fortune told. (Aria: Di' tu se fedele / "Tell me if the sea awaits me faithfully"). Ulrica reveals that he will be killed by the next man who shakes his hand. He laughingly dismisses her prophecy and offers his hand to the courtiers, who refuse to take it. Renato arrives and shakes Riccardo's hand in greeting. Riccardo's true identity is now revealed and he is acclaimed by the people. Amelia, conquering her fears, has come here alone to pick the herb of which Ulrica told her (Aria: Ma dall'arido stelo divulsa / "But when I have plucked the herb"). She is surprised by Riccardo, who has come to meet her, and the two finally declare their love for each other. Renato has resolved to kill Amelia for the dishonor she has brought on him. She protests her innocence and begs to see her son one last time. (Aria: Morrò, ma prima in grazia / "I will die, but first, a kindness"). Renato relents, and declares that it is Riccardo, not Amelia, who deserves to die (Aria: Eri tu che macchiavi quell'anima / "You were the one who stained her soul"). Riccardo, torn between love and duty, has resolved to renounce his love for Amelia and send her and Renato back to England (Aria: Ma se m'è forza perderti / "But if I am forced to lose her"). At the ball, Renato tries to learn from Oscar what costume Riccardo is wearing. Oscar at first refuses to tell (Aria: Saper vorreste / "You want to know"), but he finally answers: a black cloak and a red ribbon. Riccardo manages to identify Amelia and tells her of the decision he has made. As they say goodbye, Renato stabs Riccardo. The wounded Riccardo discloses that though he loved Amelia, she never broke her marriage vows. He pardons all the conspirators, bidding farewell to his friends and his country as he dies. The opera is scored for flute, piccolo, two oboes, cor anglais, two clarinets, two bassoons, four horns, two trumpets, three trombones, cimbasso, timpani, cymbals, bass drum, harp and strings, together with offstage wind band, offstage bell and small onstage string orchestra (four to six first violins, two second violins, two violas, two cellos and two double basses). A rehearsal of Act 3 Scene 2, including the stabbing of Riccardo, is featured in the closing scene of Bernardo Bertolucci's 1979 film La Luna . It also confused Leslie Titmuss in John Mortimer's novel "Titmus Regained"; when a friend said that she was going to see "Un Ballo in Maschera" at Covent Garden, he replied "never been one for dancing". Renato Bruson is an Italian operatic baritone. Bruson is widely considered one of the most important Verdi baritones of the late 20th and early 21st century. He was born in Granze near Padua, Italy. Gustave III, ou Le bal masqué is an opéra historique or grand opera in five acts by Daniel Auber, with a libretto by Eugène Scribe. Lucille Kailer is an American operatic soprano who had an active international singing career during the 1950s and 1960s. Prof. Liao Changyong, sometimes referred in Western media as C. Y. Liao or Changyong Liao, is a Chinese operatic baritone and academic. He won first prize in three different international competitions in 1996 and 1997: the Operalia, The World Opera Competition; the French International Toulouse Singing Competition; and the Queen Sonja International Music Competition. While his performance career has mainly been in China, he has appeared as a guest artist with opera companies and orchestras internationally. He is the head of the voice department at the Shanghai Conservatory of Music. Isabella d'Aspeno is an opera in three acts composed by Pavlos Carrer. The author of its Italian-language libretto is credited only with the initials "R.G.S.". The opera premiered at the Teatro San Giacomo in Corfu on 7 February 1854. The following year, the opera had its Italian premiere at Milan's Teatro Carcano where it achieved considerable success with multiple performances over two seasons. Set in Westphalia during the 14th Century, the plot of Isabella d'Aspeno bears several thematic similarities to Verdi's later opera, Un ballo in maschera. Both involve the assassination of a sovereign by his political and romantic rival during a masquerade ball. ↑ Baldini, p. 248: Roger Parker, as editor and translator of The Story of Giuseppe Verdi challenges Baldini's statement that Gustave was a play, and he asserts that it was only an opera libretto written for Auber's opera. ↑ Budden, p. 363. Verdi to Torelli: "I'm scaling down a French drama, Gustavo III di Svezia, libretto by Scribe, performed at the Opéra twenty years ago"
↑ Patrick Dillon, "Unlucky Lady: Who is Amelia? ", Opera News, December 2012, Vol. 77, #6, p. 20: Dillon notes that "it doesn't matter that there was, historically, no "real" Amelia" and further that, for Scribe, "convention demanded a leading lady" therefore "Amélie, comtesse d'Ankastrom" in Auber's opera. ↑ Verdi to Somma, 7 February 1858, Werfel and Stefan, p.207: "I'm drowning in a sea of troubles. It's almost certain that the censors will forbid our libretto." ↑ "Marian Anderson Performed at the Metropolitan Opera". americaslibrary.gov. ↑ Kastendieck, Miles (January 7, 1955). "Marian at the Met: The Story". N. Y. Journal American. Retrieved 2015-10-03. ↑ Gossett, pp. 491 to 513: the complete history of Gustave III has been outlined by the musicologist. ↑ "Review: A Stylishly Sung and Intelligently Staged "Masked Ball" at San Francisco Opera – October 4, 2014". Oct 6, 2014. Retrieved Apr 22, 2019. Osborne, Charles (1994), The Complete Operas of Verdi, New York, Da Capo Press, ISBN 0-306-80072-1. Verdi, Giuseppe, Un ballo in maschera, Full score, Milan: Ricordi, 1976. Wikimedia Commons has media related to Un ballo in maschera . Libretto in Italian and English on murashev.com.